Last week was a bit quiet on the “Fear the Walking Dead” teaser front, so this week they have given us a monster teaser – a 30 second trailer with new clips. This is the most haunting we’ve seen so far. 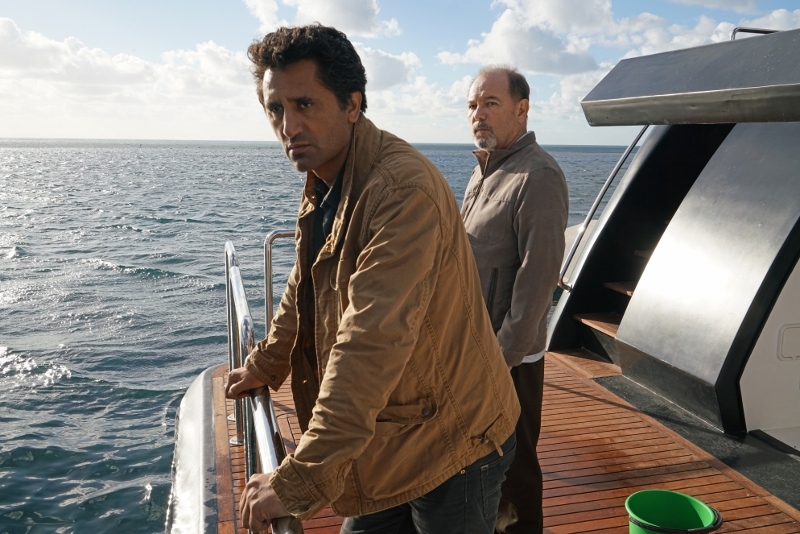 Just when you thought the weekly dose of “Fear the Walking Dead: Flight 462” had you scared of being stuck on a plane with zombies, then along comes this trailer that shows you there is no safe harbor. Remember the end of season 1 saw the gang plan to head on to Victor Strand’s yacht, but from these clips even that isn’t safe for long. Now the only question I have is, can the infect swim, or will they walk along the bottom of the ocean (a la Pirates of the Caribbean) although I think they would float, so how will they make their way to shore? Too many questions and still over a month until we can find the answers. “Fear the Walking Dead” – Season 2 returns on 11th April on AMC exclusively from BT at 2am, simultaneously with the US premiere and will be repeated later that day during prime time. Disclosure: In my day job I work on the PR activity for BT but I was not asked to write this post, these are all my own views.